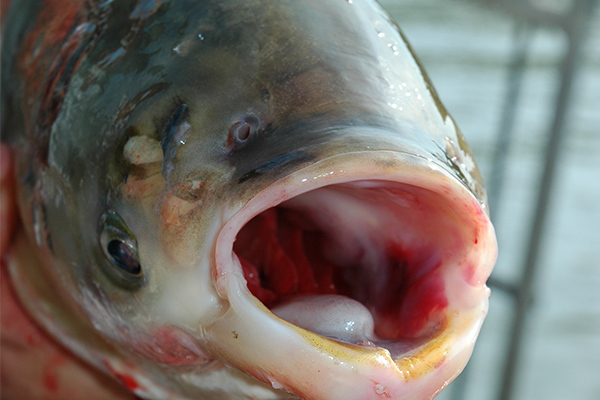 We know that our current Asian carp control measures are not enough. The good news is that solutions exist, and the U.S. Army Corps of Engineers has conducted a study on how to put those solutions in place. The study was paid for at taxpayer expense and is ready for public review. But, as Asian carp continue toward Lake Michigan, the White House has obstructed progress by blocking that research from going public. This is unacceptable. Now, Members of Congress in both houses are demanding the study be made public. A bipartisan group of legislators introduced the Stop Asian Carp Now bill, which would require the Administration to release the Brandon Road Study. The bill was introduced by Senator Debbie Stabenow (D-MI) and Representatives Marcy Kaptur (D-OH) and Bill Huizenga (R-MI). Asian carp pose a serious, urgent threat to the Great Lakes’ ecosystems and economy, including the $7 billion fishing industry. Immediate action is needed to prevent this destructive invasive species from causing irreparable harm. The carp population advanced over 60 miles in 2015 and existing barriers are not effective against juvenile fish. In fact, larvae have been found less than 50 miles from Lake Michigan. Brandon Road Lock and Dam in Joliet, Ill is located on the Des Plaines River, which connects the Mississippi River and Lake Michigan. This is a logical choke point location to install Asian carp control measures. The U.S. Army Corps of Engineers has completed a draft of a taxpayer-funded study on Brandon Road that would lay out a plan for how to stop Asian carp from reaching Lake Michigan. The study was supposed to be released for public review in February, 2017. Unfortunately, the White House has halted progress by blocking the study’s release and with it, efforts to stop Asian carp. We can’t move forward without the Brandon Road study. Stand with Members of Congress in demanding that the administration release this critical study. Stand with Members of Congress calling on the Trump administration to release the Brandon Road study immediately.